Dev log #3: Almost there! 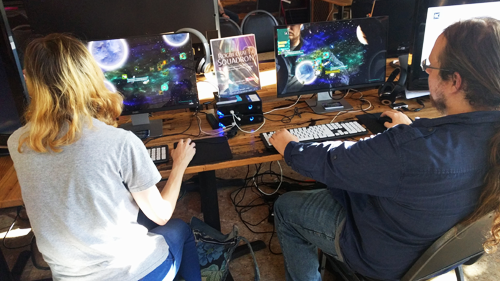 We want to thank everyone who took the time to playtest our game during our demos at SXSW Gaming, Dreamhack ATX, Juegos Rancheros, Capital Factory, North Austin Game Night (NAGN), and Minefaire ATX. 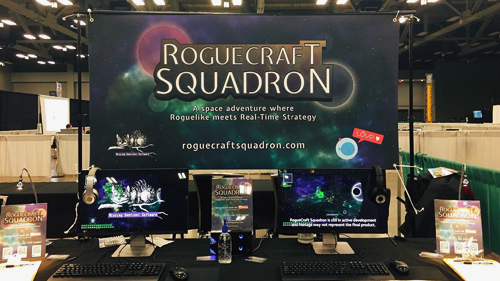 Watching y'all play and the feedback y'all gave us has been very valuable during our development of RogueCraft Squadron. It's been a while since we made a development update, so we'll fill you in on what we've been up to. After SXSW Gaming (back in March), we felt that there was something missing from the gameplay. What we have been demoing was good, but we wanted to push it further. From there we made a decision to change from our level-based progression to something a bit more open. We completely overhauled the system and began with a multiplayer focus. 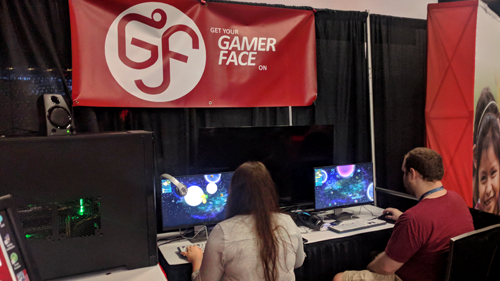 In May, we got some table time with IGDA and GamerFace at Dreamhack (very exciting). It was the first time we were going to playtest our new multiplayer system. We had a couple game crashes, but overall we had a great response to the new style which motivated us to keep developing it. After Dreamhack, we spent more time really nailing down the mechanics, adding in AI, updating and refining our UI. We showcased a couple times at North Austin Game Night, and each time we demoed, our expectations of player reactions were very positive. Recently we showcased at Minefaire ATX, a Minecraft fan community event, that was geared towards the younger crowd (roughly 5-16 year olds). This was great for us, since we’re not able to playtest with this age group. It was encouraging to see how many kids just “got it”. Some of these kids got super competitive. It was awesome to watch. Some of you might be wondering, "This sounds great, but where's the 'rogue' for RogueCraft Squadron?" Right now, we're working hard to reintegrate the roguelike elements back into the game. Upon release, we're looking to have a story mode which will have objectives, ship upgrades, actual space travel, etc. In the meantime we're going to be updating downloads on itch.io to the multiplayer demo edition sometime in the first half of October.